Gear / Vane pumps of all reputed makes, Direction Control Valves, Pressure Relief Valves, Flow Control Valves, Single / Double acting Hydraulic Cylinders, etc. are available. 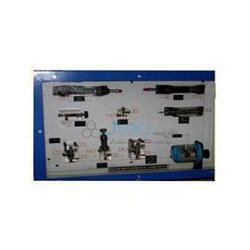 We also offer completely assembled Hydraulic Power packs for induction furnaces and other applications. We are manufacturing and supplying Hydraulic Spares and Accessories of the finest quality with strict observance of the pre-defined parameters of quality and design. We offer a superior series of Hydraulic Spare Parts which is widely used in various industrial applications. These products are provided to the clients which is reckoned amongst the clients for it accuracy and precision. These Hydraulic System Spare are made from superior quality of raw material which ensure durability at its user end. These Hydraulic System Spare are appreciated by large number of clients. These products are available in market at economical rates. Ramco is supplying Hydraulic parts like Piston Sleeves, Shafts & End Caps. These high-precision parts make the core of the assemblies, which are eventually used in aerial work platforms, agricultural harvesters, forklifts & other heavy lifting mechanisms. We offer wide range of Hydraulic Spares, which are designed as per the industrial standards. 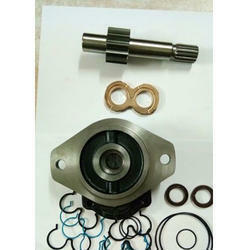 These are made using fine quality material and are acknowledged for high reliability and efficiency. Our range is strictly checked as per the quality standards that make them highly efficient and durable.